Split/Second will be getting downloadable content, an advertisement in Edge magazine’s latest issue informs. 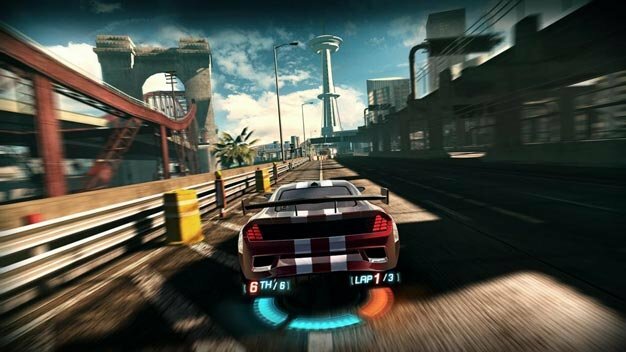 According to the ad, pre-orders from UK online retailer Play.com will include the “first DLC pack,” suggesting that Disney is planning on putting out more than one batch of post-release content for the destructive Black Rock Studio racer. The contents of the DLC remain a mystery for now. New vehicles and tracks seem appropriate add-ons to freshen up any racer though.